Dr. Emmett J. Stringer, NAACA leader (Mississippi Department of Archives and History, Archives and Records Services Division [#2-94-1-0-1-1-1])Original photograph scanned as TIFF in 1994-95 by MDAH pursuant to ACLU v. Fordice, 969 F.Supp. 403 (S.D. Miss. 1994); original rescanned as TIFF in accordance with MDAH digital archival specifications for photographs, 2002. Credit: Courtesy of the Mississippi Department of Archives and History. Born on 16 September 1919 in Yazoo City, Mississippi, Emmett J. Stringer became a dentist and leader of the National Association for the Advancement of Colored People (NAACP). When he was a child in Mound Bayou, his mother signed him up as an NAACP member. Stringer graduated from Alcorn College in 1941, served in the army, and then graduated from Meharry Medical College in Nashville. Newly credentialed as a dentist, he moved to Columbus, Mississippi, where he and his wife, Flora Ghist Stringer, a teacher, became leaders in the African American community. Stringer helped organize the NAACP chapter in Columbus in 1953 and encouraged the growth of the organization in the crucial years of the mid-1950s. He was elected the organization’s state president in 1953 and had the job of organizing responses to the Brown v. Board of Education decision the following year. He and other state NAACP leaders rejected Gov. Hugh White’s proposal to equalize funding for African American and white schools and instead agreed to petition school boards to demand desegregation. 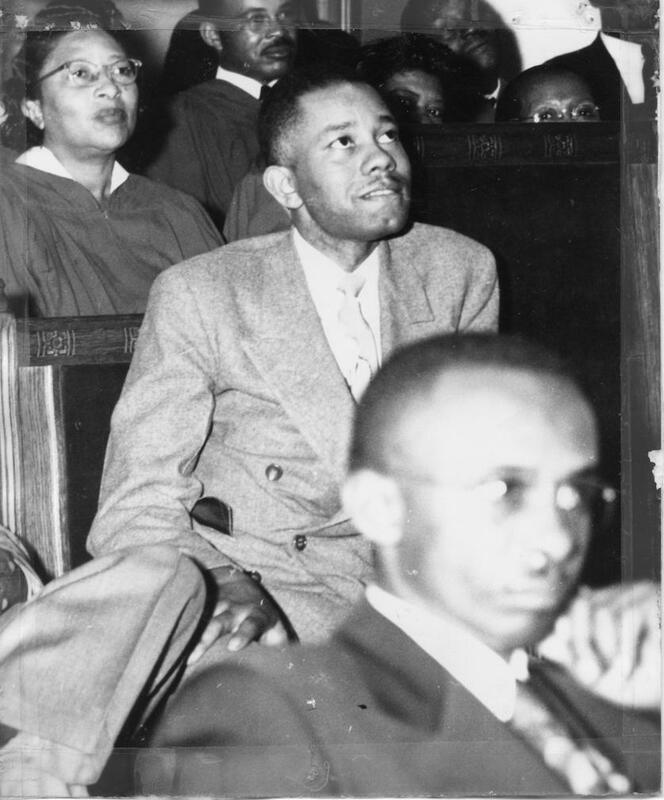 In 1953 he also sought African American volunteers to apply to the University of Mississippi, a request that helped prompt Medgar Evers to apply to the university’s law school. Stringer’s efforts at times brought retaliation. In response to his efforts to desegregate the Columbus schools, white leaders cut off his credit, and the Ku Klux Klan targeted him. Stringer declined to run for a second term at the NAACP’s helm but remained active in the organization, working with Evers and other leaders including Aaron Henry and Ruby Hurley on voting drives. Stringer became one of the first African Americans in Lowndes County to register to vote. In the late 1950s and early 1960s, police officers, sheriffs, and investigators for the Mississippi State Sovereignty Commission consistently looked into Stringer’s actions as well as those of his friend, pharmacist James Allen. One secret memo claimed that Stringer had “quieted down,” but another investigator claimed, “All officials in Lowndes County have their eyes on Dr. Stringer. They say they would not put anything past Stringer when it came to conniving for integration.” Stringer continued his activist work into the late 1960s, serving on the board of the Child Development Group of Mississippi. Stringer maintained his dental practice until 1992 and died on 6 September 1995.